The conference part of our meetup in Memphis will be held at the Memphis Embassy Suites Presidential Suite on Saturday, on May 18th following This year’s conference will include the presentations noted below, and a great deal of time will be employed to group discussion on the material presented this year as well as of the three previous MEBO Annual Conferences listed below. Please review some of the vast amount of information given out during these conferences, and formulate your questions and comments to enhance our group discussion. Attendees of the conference are encouraged to bring literature and/or products for body odor and halitosis. ii. Is the TMAU odor-management protocol right for me? b. Odegon products display: Military technology to tackle body odor. Discussion on article published by UK News Mail Online, “M&S introduce the suit that can banish B.O. – using World War II gas mask technology.” Group discussion on personal needs, including what could or could not help in work/school environment. Our gratitude goes out to the Director, Analeine Cal y Mayor and the producers of Rhombus Media for allowing us to watch this movie at our conference. 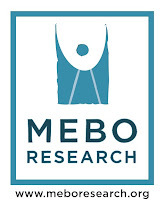 a. the MEBO - Menssana Alveolar Breath Exploratory Study: Data-collection in Chicago, Miami, New York, and London phase completed. Data currently being analyzed by Dr. Michael Phillips, MD, PACP, and his team of experts. b. Research in the UK on Therapy for the body and breath malodour disorder Trimethylaminuria. i. : “Dimethylsulfidemia: the significance of dimethyl sulfide in extra-oral, blood borne halitosis.” British Dental Journal 2013.
ii. “My body produces an offensively pungent chemical” Karen James, MEBO UK Community Outreach Director, Oxford Journals of the Oxford University Press, InnovAiT 2012; doi: 0.1093/innovait/ins093. iii. Karen has also worked with UK DUETs, NHS Evidence, National Institute for Health and Clinical Excellence, to publish 10 body odor related uncertainties / questions, now found in the Library of NHS UK database, about the effects of treatment for TMAU. a. Powerpoint Presentation, “Pharmacogenetics & Personalized Medicine.” Elizabeth Shephard, PhD, Professor of Molecular Biology, Vice Dean Education, Biosciences, Institute of Structural and Molecular Biology, Division of Biosciences,Darwin Building, UCL Genetics Institute, University College London, MEBO Research Scientific Advisor, Member of the MEBO Institutional Review Board. c. Presentation by Irene Gabashvili, PhD, Founder of Aurametrix, MEBO Research Scientific Director, Member of the MEBO Institutional Review Board. 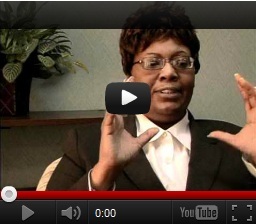 c. Disability Benefits Presentation at MEBO’S Washington DC 2011 Meetup, Cheryl Fields, MBA, PH.D./ABD. Discussion of Nigel Manning’s paper written for this conference, and discussion of other papers. I wish you would join us at the meetup. This meetup will have more group discussion than the previous ones, and we hope to have input from everyone present. There is a wealth of information in the 1,266 posts of the English MEBO Blog and 209 posts of the Spanish one, and in the webinars, powerpoint presentations and handouts experts have done specifically to benefit our community. We need to discuss this information, and see how it applies to the wide diversity of causes and symptoms of each persons halitosis and body odor. I have a feeling that the group discussions are going to be very interesting indeed. Hope you can attend!